Victoria(22) born 1987, Christopher(21) born 1989, Russell(20) born 1990, Brandon(11) born 1998. Went to work at the Frostop Cafe, and year later moved to Neola. Married Don Weaver in 1987, Divorced in 1999. Read, watch movies, crochet, go for long rides, visit friends and family, go bowling, fishing, and camping. Going to school and getting to no new friends. Eileen Wilkerson Weaver has a birthday today. 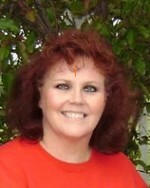 Eileen Wilkerson Weaver posted a message. Hey you cute thing, I want to see the NEW YOU !!!!! 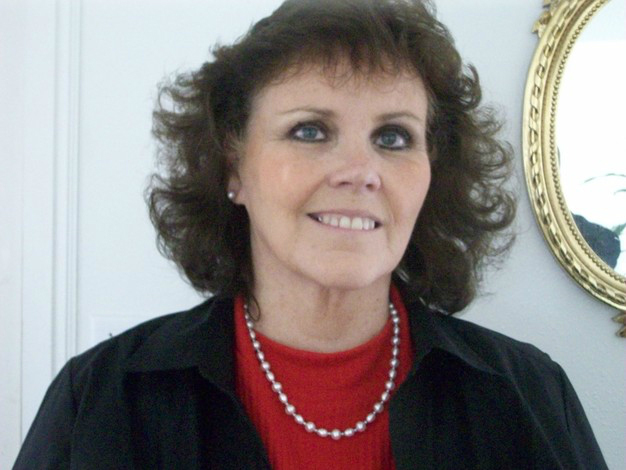 Eileen Wilkerson Weaver updated profile. View. 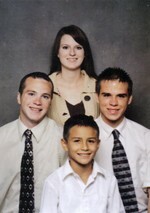 Eileen (Wilkerson) Weaver, living in Ogden Utah, with my 4 children. Victoria(22) middle, Christopher(21) right, Russell(20) left, Brandon(11) bottom. My missionary's all going out at the same time. Vicky (Brazil Campinas Mission), Christopher (Carlsbad California Mission). Russell (North Santiago Chili mission). Brandon loves playing Jr.Jazz every year !!! 2012 photo after Gastric stomach bypass! Loosing 139 pounds!